Submitted by HS on Wed, 2012-04-11 09:27. Submitted by HS on Wed, 2012-04-11 09:33. 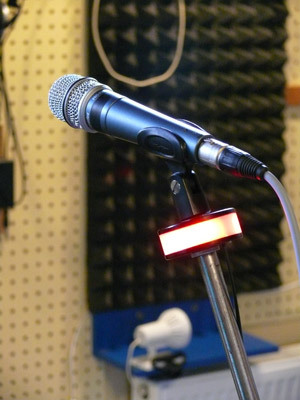 The "Recording Ring" is a unique, aesthetically stunning studio warning light that can be easily attached to any microphone stand. 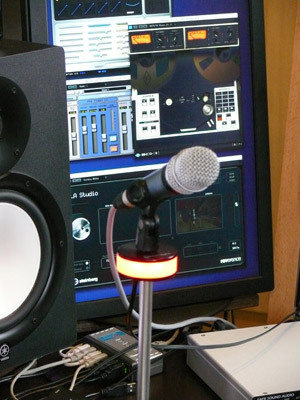 It can work standalone or simultaneously with any microphone. 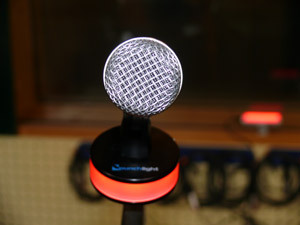 A compact and solid unit made of anodized aluminium, it signals "Recording" by glowing red, and "Record Ready" by glowing yellow. 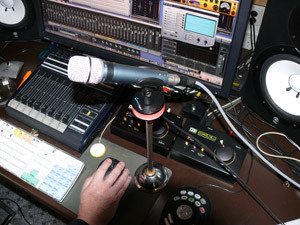 The Recording Ring has the same functionality as the Studio Warning Lamp, and has to be connected to the PunchLight DLi, PunchLight GPI, PunchLight MIDI or the Relay SwitchBox either of which act as a trigger. 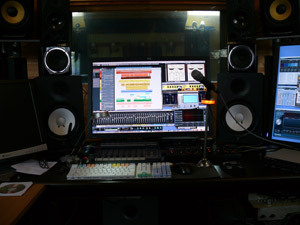 It is designed for studios where aesthetics are important. 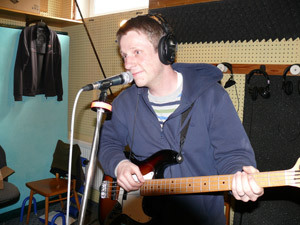 Submitted by HS on Wed, 2012-04-11 09:35. Threaded for standard mic stand 5/8"
Submitted by HS on Wed, 2012-04-11 09:36.